The opening ceremony of the small stage - Black Box - will soon take place at G. Sundukyan National Academic Theatre. The initiative was launched with Converse Bank’s support. "This will be the first Black Box stage in Armenia built at a professional theater, with the opening of which we are changing theatrical views and introducing a new culture, simultaneously maintaining and developing the academic theater. We hope that it will turn into a platform for new searches, development, and progress and will be rightfully appreciated by the Armenian theater lovers", - said Vardan Mkrtchyan, Director of Sundukyan Theater, adding that "people in theatrical circles are already aware of the current construction works at Sundukyan theatre and this unprecedented project has already caused great excitement". He also mentioned that Converse Bank is perceived by the society as the most cultural bank, and this sponsorship is another evidence of that qualification. "We, as a Bank, appreciate innovative way of thinking both in business and in the cultural field and are ready to discuss any offer for introducing new, progressive approaches in art. In this regard, construction of the Black Box Theater is another successful experience of cooperation between the public and the private sectors. All over the world, it is regarded as the most promising form of theater development. 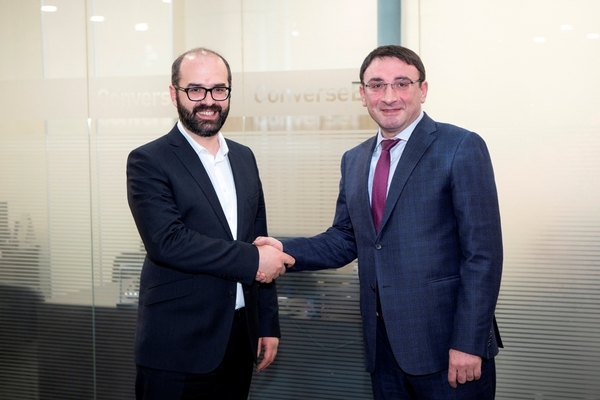 The newly constructed Small Stage adjacent to Sundukyan Theater will be multifunctional and compliant with the present challenges", - said Artur Hakobyan, Chief Executive Officer of Converse Bank. Opening of the Black Box stage is scheduled for February.